It seems to me, that if you ran into something this cool on the way to work your whole day couldn’t but help to be better. I love it. What would you call this? 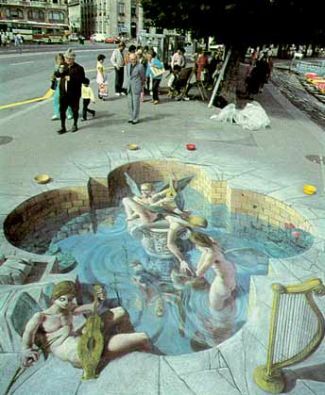 Chalk Art? Public Optical Illusions? Whatever… I love it. Looking for a speaker to add some humor to your day? Need a humor in the workplace speaker? Click here. https://www.bradmontgomery.com/wp-content/uploads/2018/11/logo-1-495x198-1-300x120.png 0 0 admin https://www.bradmontgomery.com/wp-content/uploads/2018/11/logo-1-495x198-1-300x120.png admin2006-02-01 14:35:282006-02-01 14:35:28How cool is that?! Air Force Speaker with Class Tailor for The Speaker? What?